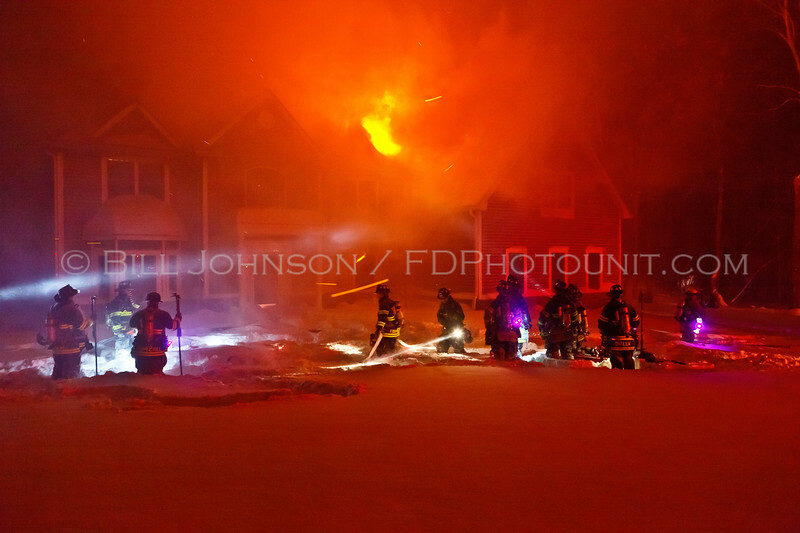 Rombout was dispatched for a Chimney fire in blizzard conditions around midnight December 26,2010. Arriving units found an active fire with fire venting from the roof of a ~4500 sq ft residence. The weather conditions were extreme with heavy snow and high winds(Below zero wind chill) which made working conditions tough and blew the fire throughout the structure. Firefighters had difficulty locating hydrants due to snow cover and the ones they did find, didn't supply sufficient water to fight the fire.